Root Canal Crown or Post Crown - What's The Difference? A root canal crown and a post crown are both types of dental crown or cap that are fitted over a tooth that has had root canal treatment. From the outside, they look like any other crown or cap. You cannot tell by looking them that they are any different to a normal crown. But underneath, they have very different foundations. There are subtle differences between the two types of crown. A root canal crown can be fitted over a tooth that has had a root canal treatment, where the tooth is still strong enough to support a crown without any additional reinforcement. 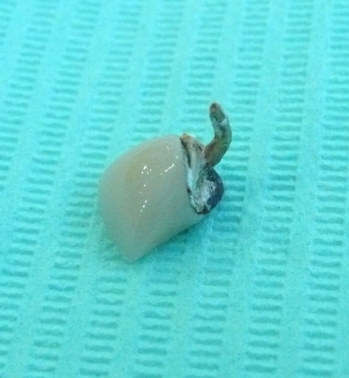 The hole over the root canal is sealed up, and the tooth trimmed down to the correct shape. The crown is like a thimble, and fits over the tooth. This reinforces the tooth, and provides an additional seal against bacteria getting into the root filling. On the other hand, a post crown is fitted to a tooth that is NOT strong enough to support a crown on its own. Maybe there is very little tooth left above the gum. Not enough to support a crown. In this case, a post crown is needed. How can we put a post into a tooth? 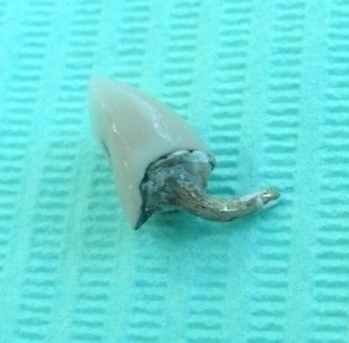 We have to drill out the top part of the root filling, leaving a channel down inside the tooth. The root filling material at the end of the root is left alone, to seal the root tip. A post can be fitted into this channel, with the top sticking out of the top of the tooth root. The post is cemented or bonded into the root canal with dental bonding agents. This post can be made of gold alloy, titanium, or of carbon fiber. Gold alloy posts are usually custom-made in a dental laboratory, whereas titanium and carbon fiber posts are prefabricated in various sizes and cut down to match the tooth being treated. Carbon fiber posts can be manufactured to be very light in colour. This can be important if a front tooth is being treated. Metal posts can sometimes create a grey color to the gum edge. A light-colored post will not cause any discoloration. On the downside, they are not as strong as metal posts. For a back tooth, strength is the most important thing. 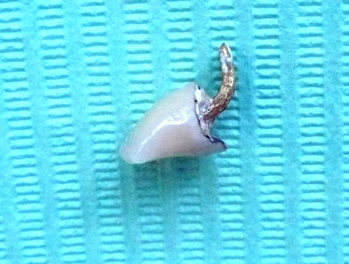 The best post to use in a back tooth is a gold alloy post. Once the broken-down tooth has had root canal treatment and been built up with a post, a crown can be put over it to restore it's shape and size. This is called a post crown, even though the crown is not actually joined directly to the post. A root canal crown is simply a normal crown that is placed over a tooth that has had a root canal.